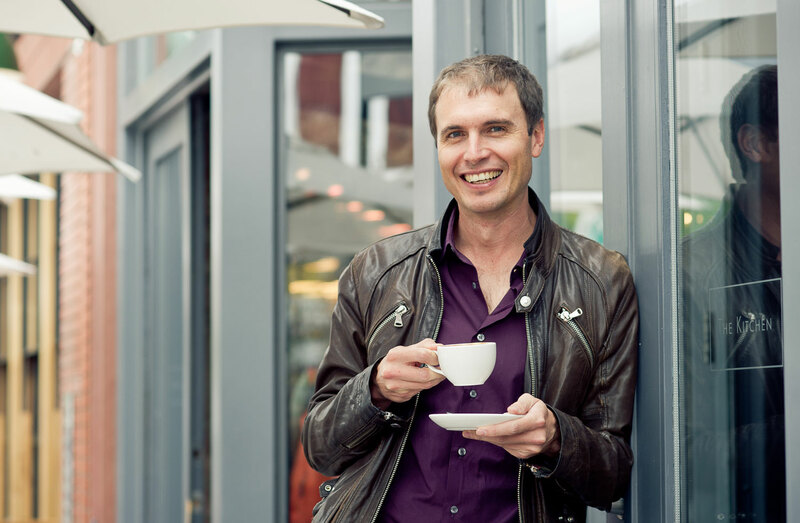 Entrepreneur Kimbal Musk will open two restaurants in Indianapolis this spring — one of those near Butler’s campus. Musk is the brother of SpaceX founder and Tesla co-founder Elon Musk. The first of the two restaurants to open is Hedge Row American Bistro, located on Massachusetts Avenue. The restaurant is described on its website as being a bistro “featuring rustic dishes from a wood-fired oven” and ingredients sourced from local farmers. It is set to open April 3. The second restaurant is called Next Door American Eatery, and will open May 3 near the intersection of College Avenue and 46th Street. It is the more affordable and casual of the two restaurants. Both restaurants are a part of Musk’s family of restaurants called The Kitchen Restaurant Group. He has three restaurant chains spread across the Midwest: Hedge Row, Next Door, and The Kitchen. These three restaurant chains all embrace environmentally-friendly practices and offer food sourced from local farmers, at three different price points. Musk’s work in the Indianapolis food scene does not end there, however. He also co-founded a national organization, Big Green, that has a vision to bring learning gardens to every low-income school across the country. Learning gardens are hands-on gardens that allow students to learn about, grow and eat their own food. In a January blog post about his vision to bring learning gardens to 100,000 schools across America, Musk described how his initial idea for this project came from being involved in a school garden project in Colorado. Musk’s Big Green initiative has already hit Indianapolis, and continues to grow. There are learning gardens installed in 30 Indianapolis-area schools already, and there are 20 more in the works. Sophomore environmental studies major Grace Hart thinks that bringing locally grown, sustainable food practices to schools could have a big impact on the way kids grow up thinking about food. She said while a traditional nutrition education is valuable, she believes people should focus on a food education rather than a nutrition education. She said kids should learn about where their food comes from and how it gets there rather than only how many calories and grams of sugar it has. Claire Christensen, another sophomore environmental studies major at Butler, also hopes that programs like Musk’s will promote more of a conversation about healthy eating and sustainable farming, refuting some common misconceptions and misunderstandings. Christensen also stressed that promoting locally grown food, either through schools or through restaurants such as Musk’s, can be hugely impactful in bigger environmental ways. Hart also pointed out that programs working to make healthy food more accessible can be transformative when it comes to the health and well-being of kids in certain low-income areas. These parts of cities are described as “food deserts” for their lack of food options. Jesse Van Gerven, a science, technology and society professor here at Butler, said the issue of food deserts is especially prevalent in Indianapolis, showing all the more need for programs such as Musk’s. Van Gerven said because of Indianapolis’ poor accessibility to healthy and fresh foods, the current food system is not working, and changes need to be made. Van Gerven mentioned that another organization working to help change the Indianapolis food system is Growing Places Indy. Growing Places Indy works to provide healthy food in affordable ways in Indianapolis, through urban gardens and a farmer’s market program. They also have an initiative that allows people to purchase food from the farmer’s market with snap benefits, which are like food stamps. These organizations as well as Musk’s restaurants and Learning Gardens initiative, aim to transform the way food is accessed in Indianapolis and beyond. For more information regarding the future of Musk’s work, visit biggreen.org.